As with many developments in the different ways to approach the resolution of family law matters, a new approach to managing post-separation parenting arrangements is emerging from North America. 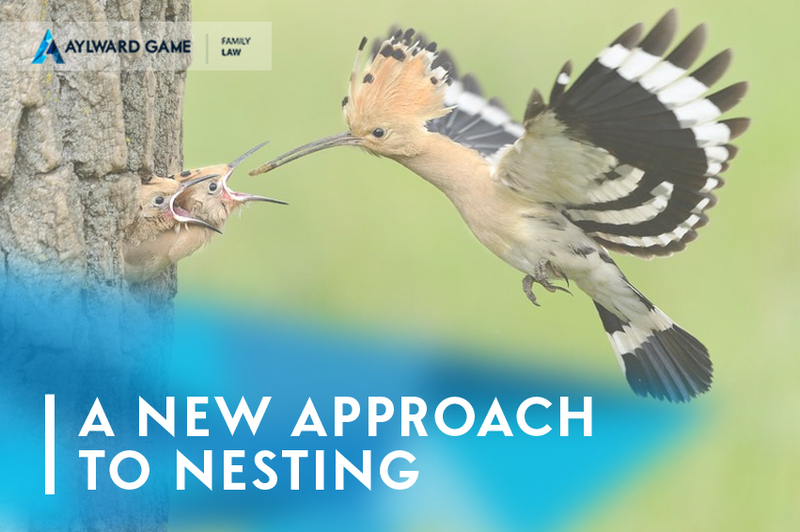 Collaborative law practice emerged in the United States, and now nesting, sometimes also called bird nesting, is a new approach that seems to be taking off in the USA. We have discussed this sort of arrangement with clients in the past, and we have once seen it tried, but regrettably, it broke down. Frequently after parents separate, it is the children who switch homes between the parents, with varying degrees of frequency. This means it is the children who are subject to the demands of frequent packing up and moving house in order to spend time with each of their parents. We have in the past reflected that it must feel a little unfair to the children to be subject to this arrangement, which can be very disruptive. The idea behind nesting turns this on its head, and the children stay in one house and the parents are the ones who move in and out. This seems to place the best interests of the children at the top of the list of priorities, which is in line with the Family Law Act in Australia. Such an arrangement would not suit everyone, but in America, it seems that some separated parents have been able to make it work. The experience in the USA seems to suggest that there needs to be a high degree of trust and co-operation between the parents, there need to be stable finances – there would need to be at least 2 houses, ideally 3, and there needs to be a rock solid respect for boundaries. Ex-partners will need to be able to inhabit the same living space – albeit at different times – and will need some private and untouchable space within the shared residence. The experience in the USA has shown that one particular pressure point that needs to be avoided if the arrangement is to work out in the long term is for both parents to avoid “dropping by" when it’s not their time to be living with the children. At Aylward Game Solicitors we have a wide experience in advising in family law situations where a separation has occurred. Our experience can assist in considering a wide range of solutions, please give us a call today if you are contemplating or dealing with a divorce or separation and you need some practical and sympathetic advice on 1800 217 217.